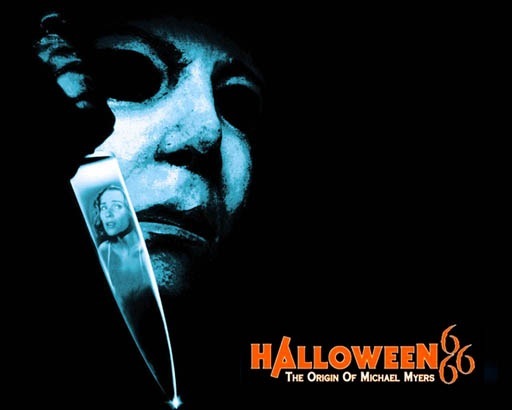 Halloween: The Curse of Michael Myers, which had the working title of Halloween 666: The Origin of Michael Myers had quite an interesting journey to the screen. Daniel Farrands was hired to write the script and it went through several different drafts. I’ve read a couple of the unused drafts online and while I can’t vouch for how legit they are I was never really fond of any of the scripts I read and in my review for the theatrical cut I called his script mess, which really wasn’t totally on Farrands. After the film was shot it went through more rewrites and than reshoots. Typically when a film is reshot its only a few scenes at least in most cases and the good portion of the film is the same with the exception of a few minutes, but in the case of Halloween 6 its roughly 40-minutes or so of differences and it is in many ways two different films and you could maybe watch both versions back to back and not be too bored. I read all about the Producers Cut, but reading about it and seeing it are two totally different things and reviews were generally more positive with the majority hailing it as a far superior version whereas as a few reviews say it was the worse of the two. The only footage I saw was when Halloween 6 would air on TV and due to edits made for content and time a few scenes from the Producers Cut were added in (I’ll get more into that a little later). Through a friend I was able to see a VHS copy and I can’t say I was overly impressed than a few years after that I purchased a bootleg DVD and still wasn’t overly fond of it, but seeing as both copies were simply atrocious for me personally I had trouble getting into it. And now with the Halloween Collection blu-ray set a better copy can now be seen in HD no less. The Producers Cut is more about the Thorn Curse than the theatrical version and while I can’t say I loved the concept it does play out a little better here than in the theatrical cut, but I prefer this version for various reasons. Of all the Halloween films Halloween 6 for me would rate towards the bottom and the only film I would rank lower would be Halloween: Resurrection. However with that said I don’t exactly hate Halloween 6 as it does have its moments, but the theatrical and Producers Cut of the film is quite a mess in spots for different reasons. Perhaps its because of the numerous rewrites? I cannot fairly answer that question without reading what Daniel Farrands submitted as his final draft. My favorite version (though still not very good) is actually the TV version and while most of the footage is that of the theatrical cut it does however feature some of the stronger scenes from the Producers Cut and with a few more edits mixing it up a little more it could have been a little better still. But that’s starting to get off topic. It’s very common in horror franchises that as they go on more is explained. Freddy’s Dead and Jason Goes to Hell both gave their villain a backstory and with Halloween 6, Michael Myers now gets a backstory. I guess the longer a series goes on at some point you have to go into more detail in an attempt to keep things fresh even if Halloween 6 may explain a little too much, but lets be honest at this stage there’s no mystery left. We know what Michael is gonna do even if no reasons for why are given. Halloween 5 kind of started it with the mark on Michael’s wrist and introducing the Man in Black who also had the mark. In Halloween 5 nobody knew what this mark was, though there was a scene after Michael survives the mine shaft and it does bring in occult elements, but these scenes were reshot with the old hermit. Don Shanks who played Michael Myers in part 5, also played the Man in Black as one idea was he would end up being Michael’s twin brother. Even if Thorn wasn’t the intention this again did back the series into a corner and something had to be explained and honestly no matter what direction Halloween 6 took it would still no doubt be mixed. I personally like Halloween 5 always did and I think I like it for more of what it could have been rather than what it was and some people dislike Halloween 5 because of 6, which isn’t really fair, but I guess again I’m getting off topic. It took 6-years before we finally found out just who this Man in Black was and just one last thing before I get into that. The ending of Halloween 5 the Man in Black shoots up the Haddonfield police department killing everyone inside and when we learn his identity in 6 I don’t know about you, but I can’t help but laugh thinking really this guy did all that damage? I understand a cop or two in the element of surprise, but this guy managed to do all that damage? 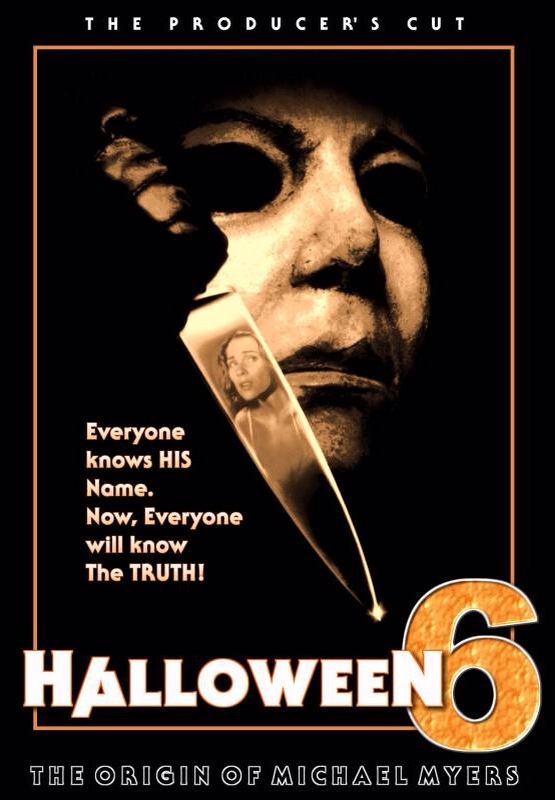 For me the biggest problem with Halloween 6 is it explains way too much (even the theatrical version) it strips away Michael’s boogeyman factor, but again I go back to what I said before on by this point we may not know why, but the mystery of the character is still more or less gone. The Producer’s Cut as stated has its issues, but the film generally flows better and while even this cut isn’t exactly the original intentions, but according to Daniel Farrands and Malek Akkad it’s much closer to that original intent than the theatrical and this is the preferred version for both of them. The Producers Cut has a slightly different and in my opinion far better score. Gone is the annoying guitar usage as well as the other changes. The P-Cut uses the traditional score and I don’t get why it was even changed in the first place as the score used here is far more effective. Other changes are some of the deaths scenes. For instance Jamie (J.C. Brandy) doesn’t get killed by Michael in the opening act, but instead is killed later in the film while in a coma by the Man in Black. The death has drawn mixed feelings, but one thing I sort of agree with on those who prefer her P-Cut death is Michael never gets her. At some point throughout the series, Michael killed just about everyone, but while he got Rachel and even Laurie he never managed to kill Jamie. John Strode (English) also has a different death and Beth (Mariah O’Brien) is basically the same only edited a little different and its’s far more effective here as is John Strode’s death for that matter. The opening narration is done by Dr. Loomis (Pleasence) rather than Tommy Doyle (Rudd). We also see Jamie and Michael’s abduction after the events of Halloween 5. Some differences are as simple as just extended scenes or even alternate shots, but in my opinion all the differences make this film more effective even if still flawed. The only thing more annoying than the score in the theatrical cut was the terrible flash editing, which isn’t present here. The final act of the film is also quite different as well and features far less carnage and the final act to both films have their problems, but plays out better here mainly due to the editing, score and the fact it doesn’t drop plot lines developed over the duration of the film like the theatrical cut. As I mentioned I never really fond of any draft I read by Daniel Farrands, but that has more to do with me not really liking the whole thorn concept and some of the issues again could possibly be blamed on various rewrites. The theatrical cut the script is a total mess as ideas are simply dropped in the final act and there’s just no real flow. Farrands script for the Producer’s Cut is better written and has a better flow and actually makes a bit more sense. From what I’ve read the original intention was sort of Rosemary’s Baby meets Halloween and while not only is Rosemary’s Baby a great horror film, but a great film in general, however it’s nothing like Halloween and the two mixed together doesn’t really fit. In the final act of the theatrical cut Michael goes on a rampage and slaughters the cult members whereas here that doesn’t happen and they seem to have more control over him (though Farrands says that wasn’t his intentions) and this and reasons given for what drives Michael does again sort of strip his boogeyman factor to some degree at least. In Halloween 5 as I mentioned nobody really knew who the man in black was. There were a couple of ideas, but nobody really knew and the problem with 6 is no matter what direction Daniel Farrands took people would have issues with as everybody at the time had their own theory and even over the years some fans debate on other directions it could have gone. Unlike other franchises that develop a backstory that more often than not have no connection to past films, the whole thorn isn’t as far removed as people think as in Halloween II, Dr. Loomis does mention Celtic rituals and I’m sure Farrands got some of his ideas from that scene. The script is by no means perfect here, but it is better written than the theatrical version. The only thing I liked about the script in the theatrical cut were the characters and in this version they work just as well and some such as Loomis and Dr. Wynn work better as their roles are a bit bigger. Again even in this cut the script has issues and some scenes were rewritten by other people, but this script is a lot more focused and again just flows better. Some of the blame for Halloween 6 being a mess does fall on director Joe Chappelle, but he also had a lot of outside interference. The one area where the P-Cut is vastly better is the pacing. The P-Cut runs at 95-minutes whereas the Theatrical runs at 88-minutes, but this version flows at a much better pace. There’s a decent level of suspense in spots, but overall it does lack, but many scenes play out far better here, which has nothing to do with the direction, but the score and editing. Joe Chappelle doesn’t capture the atmosphere of the series and one thing I always loved about the series were the use of locations in particular 4 & 5 being shot in Utah, but Chappelle doesn’t in my opinion really use his locations as well. While Chappelle does deliver some decent suspense in spots I personally felt there was a bit more he could have done. The death scenes are well staged and not as graphic as the theatrical cut, which I felt actually works in the Producer’s Cut’s favor. Joe Chappelle gets a lot of heat from fans of the series, which is easy to understand. At the end of the day he went with the studio and I can’t say I blame him as he was early into his career. Even with the issues in the Producer’s Cut the film is much better directed even if it isn’t perfect. But in the theatrical cut, Chappelle butchers the film by dropping plots and adding more violence and again I don’t blame him for following orders, but there was a missed chance here for something more, but all in all, Chappelle makes a more competent film with the Producer’s Cut. Over the years the Producer’s Cut has gained a cult following and as I mentioned the majority seem to favor this version and I often wonder if this version had been released instead would the reviews still be as kind? Some of the issues people complain about are still present here, but yet some still list this as one of the better sequels and I can’t help but think a lot of it stems from being quite difficult to obtain at one point as a lot of underground films seem to get much praise and whenever a studio intervenes people automatically are against it. In the case of Halloween 6 the studio was wrong, but there are still issues with this version. The way Tommy stops Michael wasn’t written by Farrands and the scene is quite silly I understand the meaning, but its rocks! Another thing I really wanna mention is in this cut its implied Michael is the father of Jamie’s baby, but in the audio commentary, Daniel Farrands says that wasn’t quite his intentions. When compared to the theatrical version this is a much better version, but this one again flows better and feels like one movie whereas the theatrical version is a mess that is easy to tell went through reshoots. I also think the score and editing are a major factor in why this is better as well. Overall the Producer’s Cut again has its issues, but is generally the better film and I enjoyed more than I thought I would. I applaud Daniel Farrands for trying to mix things up, but Halloween 6 strays a bit too much from not only the slasher formula, but the Halloween formula. The most successful slasher films are the ones that keep true to the formula. Even in franchises the ones that begin to stray are the ones most disliked. I’m glad Farrands cared enough to try and breathe new life into the series and there are ways to do your own thing without straying and while to some degree, Daniel Farrands does that, but at times it does almost feel like an unrelated film only altered to make it a Halloween film. 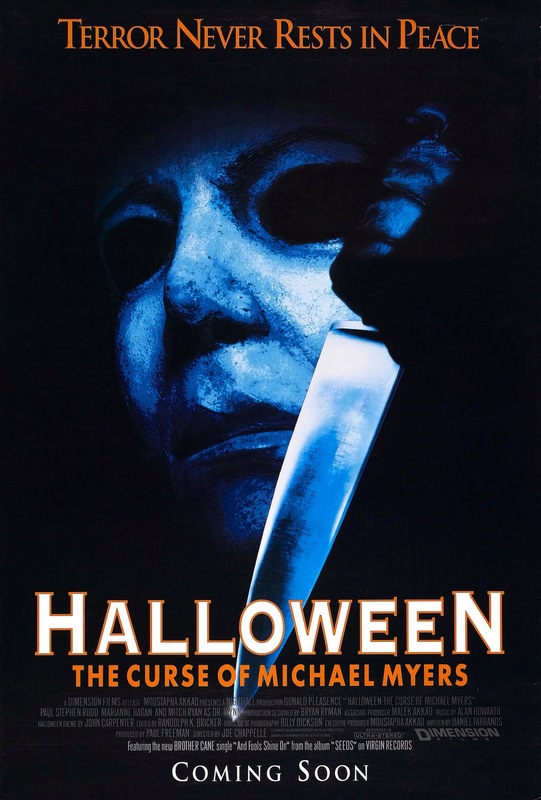 The theatrical version was released September 29th, 1995 and the official release of the Producer’s Cut was released part of the Halloween Collection by Anchor Bay and Scream Factory on September 23rd, 2014, which is almost exactly 19-years since the original release. The bootleg versions were atrocious and barley watchable so anything would be an upgrade, but the HD quality here is fantastic with a strong audio track. The disc is also jam packed with features and this in my opinion might be top 5 releases by Scream Factory.